The names of Los Angeles County Sheriff Deputies Jake Kuredjian (E.O.W. 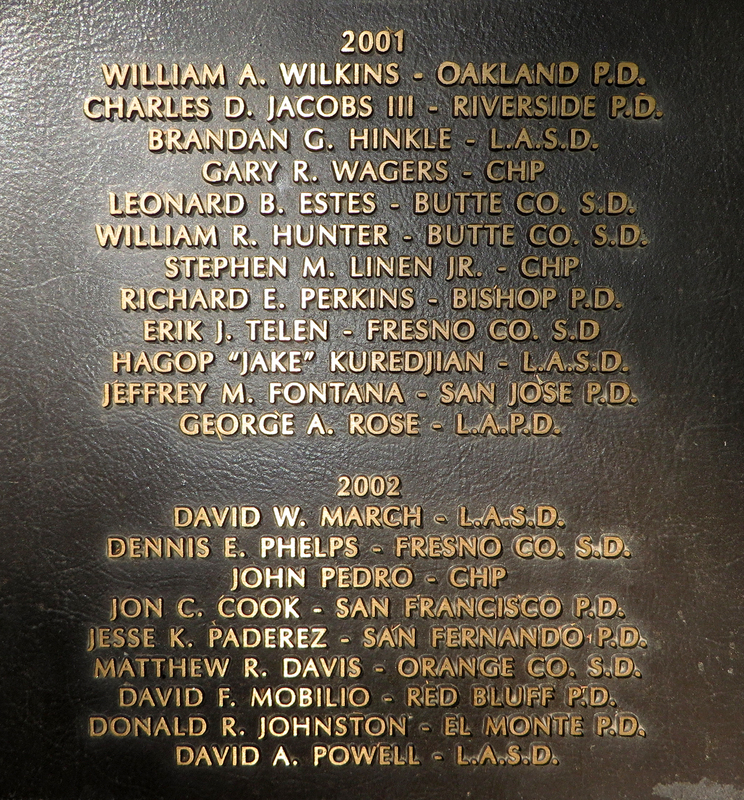 8-31-2001) and David March (4-29-2002) are cast in bronze on the California Peace Officers Memorial in Sacramento. 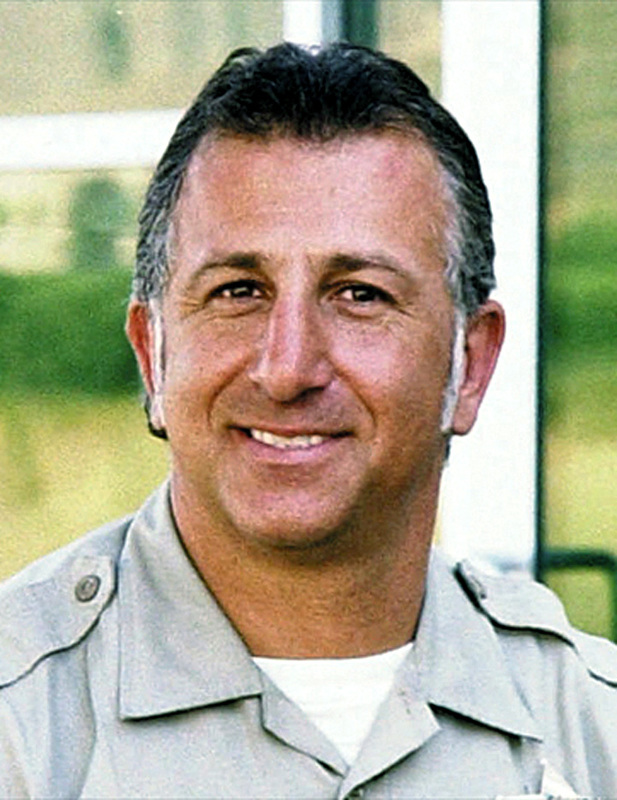 Deputy Hagop "Jake" Kuredjian was shot and killed in Stevenson Ranch on Aug. 31, 2001, after responding to back up another deputy and federal agents who were attempting to serve a warrant on a convicted felon for impersonating a police officer and possessing firearms. When officers arrived at the residence, the suspect, James Allen Beck, came to the door several times but refused to go outside. As the officers attempted to gain entry through a window the man opened fire with an automatic rifle, striking Deputy Kuredjian in the head. The suspect then held other officers at bay for several hours before his house caught fire and burned to the ground. The suspect had previously been a police officer. Deputy Kuredjian had served with the Los Angeles County Sheriff's Department for 17 years. 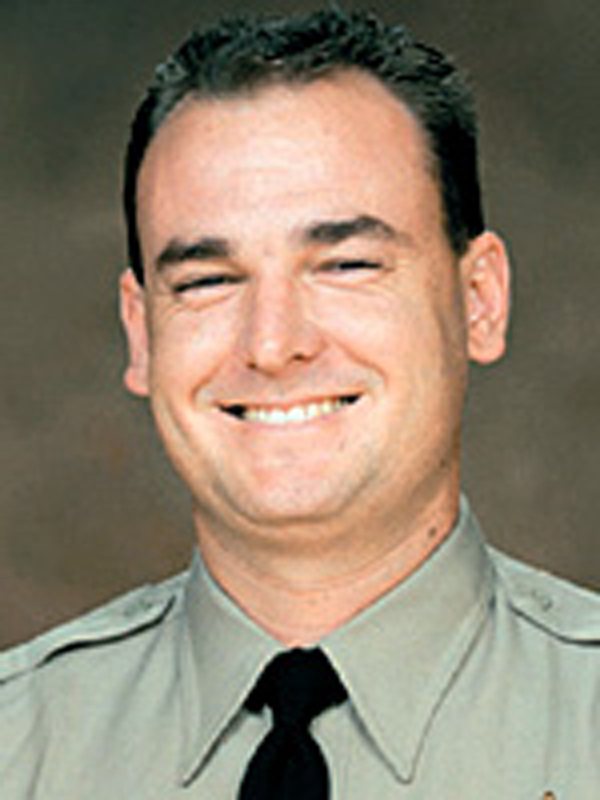 Deputy David March was shot and killed April 29, 2002, after stopping a vehicle in Irwindale, Calif. The suspect, Armando "Chato" Garcia, a Mexican citizen who had previously been deported multiple times, had told friends that he wanted to kill a police officer during a traffic stop. The suspect intentionally got stopped and waited for Deputy March to get in front of his patrol car so he could open fire, as Deputy March would have no place to take cover. Deputy March was shot several times in the head and chest. The suspect, who was identified shortly after the shooting, fled to Mexico where he remained for four years. On Feb. 23, 2006, the suspect was arrested in Mexico by U.S. Marshals and Mexican federal agents following a joint investigation. He was extradited back to California and on March 2, 2007. He plead guilty to second-degree murder and was sentenced to life in prison without the possibility of parole. Deputy March, a Saugus resident and Canyon High School alumnus, had served with the Los Angeles County Sheriff's Department for 7 years. He is survived by his wife and stepdaughter. The California Peace Officers Memorial, located on the mall near the state Capitol building in Sacramento, honors peace officers from agencies across the state who have given their lives in the line of duty. The memorial traces its history to 1976 when Sen. Robert Presley, D-Riverside, carried legislation, signed by then-Gov. Jerry Brown, on behalf of a group of peace officers who wanted to honor their fallen comrades. Beginning in 1977, names were written annually in a leather-bound book that was encased in wood and glass and attached to the wall outside the governor's office in the east wing of the Capitol building. Then in 1985, under Gov. George Deukmejian, Presley sponsored legislation establishing a nine-member California Peace Officers Commission and a permanent monument. The result was a 13-foot bronze sculpture depicting a county sheriff of the 1880s, a state trooper of the 1930s and a city patrolman of the 1980s. The sculpture was created by Vic Riesau, a 25-year veteran of the Los Angeles County Sheriff's Department who retired as division chief in 1977 and embarked on a new career as an artist. More than $200,000 was raised in private donations for the piece, largely from the law enforcement community. Deukmejian unveiled the monument May 13, 1988, and names have been added to bronze plaques surrounding a brick planter each year to coincide with National Police Week. LW2613a: 19200 dpi jpeg from digital image by Leon Worden, 5-25-2014.